Now the truth is guys, beer gardens did not originate in South London. Nope. They actually first gained popularity over in Munich, Germany, where we hear they quite like a drink – see Oktoberfest (which is actually in September). While some might argue that the whole world is one big beer garden, and they might have something of a point, however, we would suggest that really it has to be connected to a public establishment that has a license to sell alcohol (so you’re backgarden doesn’t count). 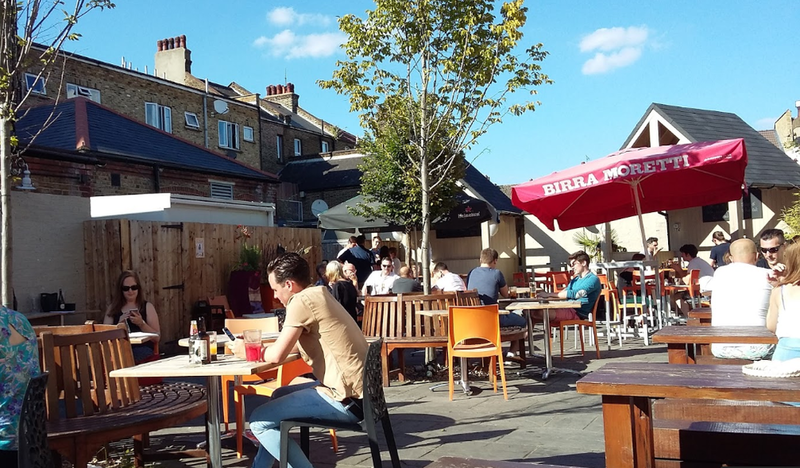 We’ve talked already about some beer gardens in Southwark borough, and we went through what could be a beer garden, now it’s the turn of Lewisham borough. 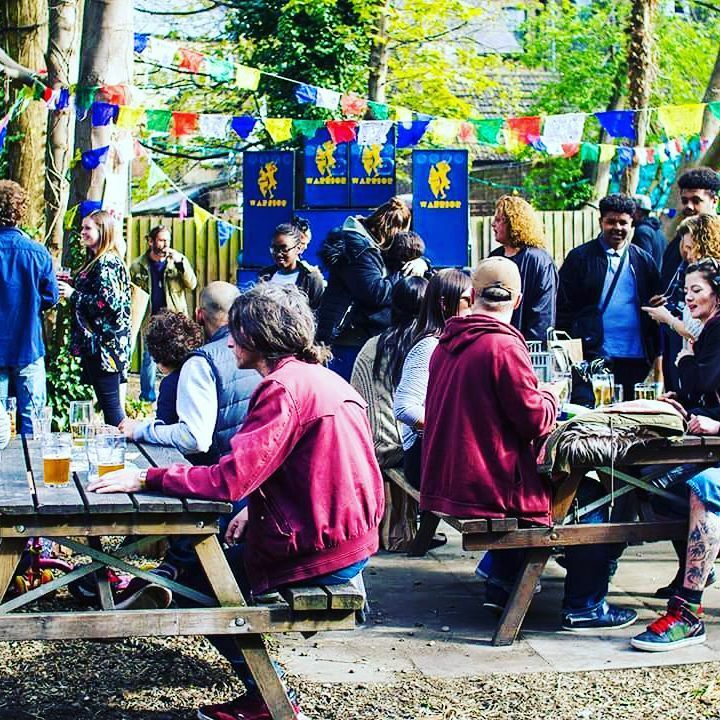 So, without further ado, here is South London Club’s list of 6 beer gardens in Lewisham borough you have to try this summer. There is little that could be done to improve the Rose Pub and Kitchen’s garden. It has ample room, plenty of large, uniform, long tables and even some covered seats with patio heaters. The vegetation is minimal, but just enough to reassure you that you are indeed in a garden. In terms of all-round use, The Rose’s garden has it all. It even has history – back in a previous incarnation, this pub garden was the scene of Shia ‘The Beef’ LaBeouf headbutting a fellow patron. Don't worry, he probably won't be there. Throw into that already great mix a top selection of beers and wood-fired pizzas, that’s right – wood-fired – it becomes obvious why The Rose is a favourite for all-types during the summer and winter. Make sure while you’re there to get 25% on one of their gorgeous pizzas when you show your South London Club card. Truth is, you’ve probably seen this one on a list of beer gardens of London before. This is probably the most scenic beer garden in all of South London, let alone the whole of London. Landscaped by local designers Lee O’Brien and James Stephenson, the Dolphin has a beer garden that sets it aside from other establishments – this garden is so remarkable it’s worth travelling for. Featuring a fountain, a pub cat, and ample seating, there is little the Dolphin could do to improve their garden. The pub’s not too bad either, featuring a very good selection of real ales and craft beers. They claim to be ‘Sydenham’s finest’, and they’re probably about right. 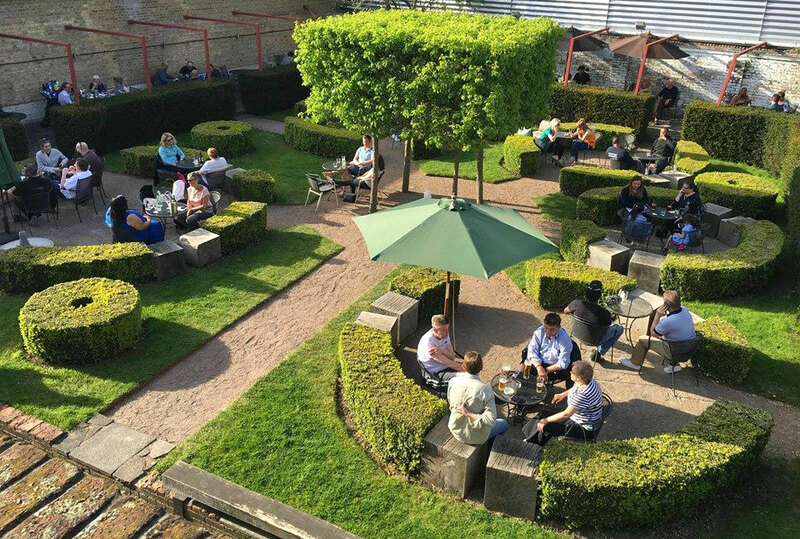 With its spacious saloon-style bar, The Station Hotel is a perfect stop for families and offers a well-arranged garden, actually referred to as a ‘courtyard’, which provides the perfect opportunity to catch some rays during the middle of the day. With a great selection of craft beers and a menu featuring all the standard favourites, the Station Hotel offers something for everyone. If you get sleepy catching all those rays maybe you might just check into one of their 16 wonderful en-suite bedrooms, maybe you might just also use you South London Club card to get 10% off on rooms, having already got 20% off on food. Maybe. Like a phoenix rising from the ashes, The Catford Bridge Tavern has returned having been ravaged by fire back in 2015. Named after the bridge it is situated next to, the pub only reopened this year, and has an extremely nice terrace on which you can sip one of their fine selection of local real ales. Now, in the past we’ve talked about out-front seating, and how that counts as a beer garden, of sorts, the terrace surely counts too? It’s merely an elevated beer garden – a beer garden in the sky - what next? Anyway, the terrace achieves the same things, it’s outside, it gets the sun, and when you’re supporting a wonderful success story like this, you can’t go wrong. 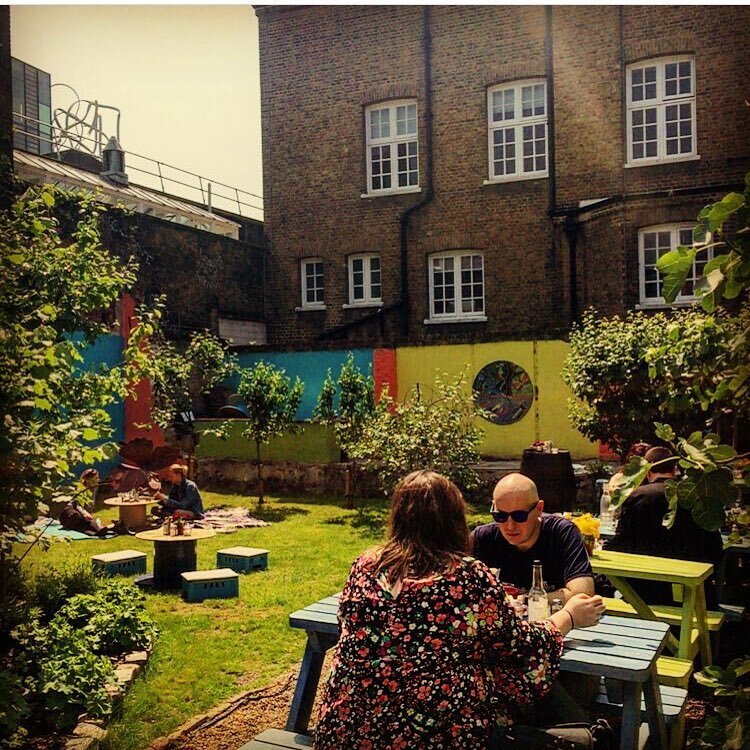 Unlike other pubs on this list, the Fox & Firkin beer garden is an actual garden, as in it has a lot of grass and trees – stuff you would find in a real garden. Offering one of the best atmospheres to be found south of the river, the Fox & Firkin’s beer garden is certainly worth travelling for. Providing the perfect setting for an after-work drink, or a drink to start your Friday night, or even a drink while you’re having Sunday lunch, heck, if you want to drink outside – and don’t want to drink out of a plastic glass – the Fox & Firkin is the perfect place for you. Don’t forget to bring your South London Club card as it entitles you to 10% off food (except Saturdays) and £2 off ticketed events above £5. Having built up a very good reputation since reopening, The Talbot in Brockley is not only one of the finest independent pubs in the entire borough of Lewisham, but it has a delightful pub garden as well, with more greenery that you can shake a stick at. To go with that, it has a very fine selection of ales, and the menu will certainly have you licking your chops. The pub is also very dog-friendly, and very suitable for families, so is perfect for a happy, chilled drink in the sun with the entire crew. What? A cafe with a beer garden? Shut the front door! No, really, it’s true. In rebellion against those pubs that have begun to serve hot drinks such as coffee and tea, cafes, like this charming hangout, have begun serving alcoholic beverages. Touche! If you’re not much of a beer or wine drinker, and fancy a place that focuses more attention on getting the world’s most popular caffeinated beverage bang on while also providing a green outdoor space in which to consume said beverage, then Out of the Brew is the place for you. Using only local independent suppliers when possible for their products, they do their fair share of supporting other local businesses, and we just really like that. We at South London Club certainly approve of Out of the Brew, so much so that you get 10% off lunch-time meals with your South London Club card.